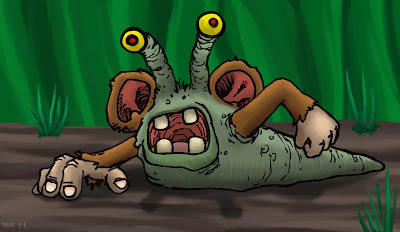 Slug Monkeys are strange mutations which began ravaging crops in the American bread-basket. The creatures are able to move surprisingly fast, despite their slug-like nature, and can consume three times their own body weight per day. So far efforts to eradicate the creatures have been thwarted by private citizens illegally keeping them as pets.